Compare Quotes & Buy Health Insurance from Top Providers Now. Unlike the vast majority of things in life, health is one of the truly irreplaceable aspects. A lot of attention is currently dedicated to encouraging healthy life habits because doctors have known that it's better to keep in good health rather than to try fix it once broken. Some of the key sources of threats to our health include hereditary illnesses, communicable diseases, and lifestyle diseases. In addition to these threats, there is also always the risk of accidents occurring, accidents that may have short or long term implications to our health. In all these cases, a good health insurance policy can be the help we need should our health start failing. The number of people taking up health insurance in Kenya has been on the rise. Two key trend are responsible for this. First, more companies are bundling health insurance as one of the benefits they give their employees. This is in effect increasing the number of Kenyans with a health insurance cover. The second trend is the emergence of low cost health insurance policies that offer basic cover for policyholders. The low cost covers are in line with the hugely influential role SMEs are playing in the Kenyan market. As such, the cost of medical insurance is affordable because there is always a policy that can meet the health needs of any person in the country. On a different note, the affordability of a health insurance kenya should be evaluated against the value of one’s health. It turns out that what may seem expensive at first, is actually an affordable component of the health insurance. Finally, you need to have a health insurance plan for the reason that accidents happen, and accidents can have detrimental effects on your health. As already discussed above, germs and genetics are not the only threats to our health. A freak accident can also lead to loss of health. In some cases, managing your injuries after an accident can be a very expensive affair. A good insurance policy will help you to get back on your feet as you work to get back to good health. The Kenyan tax procedures assures you of a tax relief of 15% on the premiums you’ve paid per annum. This goes to bring down the cost of medical insurance by that much. If you spend Kshs 50,000 on premiums for a health insurance policy in one year, then you will get a tax relief of Kshs 7500. The health insurance sector in Kenya has several types of insurance policies targeting the general public. These plans are devised to meet the needs of Kenyans seeking insurance covers for their families and for companies requiring covers for their employees. 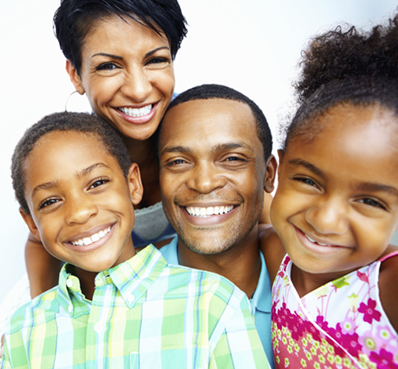 Here are the key types of insurance policies that you will find in the Kenyan market. Inpatient cover refers to policies that provide compensation for costs associated with hospitalization. Impatient covers come into effect when the policyholder is admitted to hospital. This cover is typically more expensive that other types of cover because in addition to the direct costs of treatment, it also covers policyholders from the liabilities associated with accommodation costs in the medical facility. Some insurance companies require policyholders to get clearance before accessing inpatient facilities. In these cases, the company seeks to make sure that the case requires hospitalization, and is not just a frivolous hospitalization request. Medium and high cost covers are the most common types of health insurance covers in Kenya. Usually, these covers are paid for by employers in order to give their employees a health policy as part of the remuneration package. High ranking company employees are usually afforded higher cost covers while middle and low level workers get medium cost covers. In practice, insurance companies have a graduated schedule showing the amount of premiums versus the cover limits. In some cases, the insurance companies give additional benefits that are otherwise found in a funeral cover, should a policyholder pass on. The maternity cover is also available in the Kenyan market. This cover is usually included as an enhancement of a basic health insurance policy. Maternity cover usually meets the costs of hospitalization, including delivery and any eventualities such as congenital illnesses that may result from the pregnancy. Due to its nature as an “assured risk”, the maternity cover in many ways is a customer retention element used by insurance companies. In health insurance kenya, the term “benefit” has a distinct meaning to it, and usually refers to the specific commitments the insurance company makes to policyholders. If you bought a health insurance policy today, the following are some of the benefits you will enjoy. The National Hospital Insurance Fund is a government run medical insurance service, developed with the eventual goal of offering universal healthcare for all Kenyans. All employed persons in Kenya are required to be members of the fund. The fund is the main source of medical insurance for civil servants. It is quite important to be a paid up member of NHIF because of the benefits this membership affords you as a person. Here are some of the benefits. When you buy a commercial medical insurance policy from a local healthcare provider such as Jubilee insurance, Britam, resolution insurance or any other medical insurance companies in Kenya, your insurance is calculated net of the NHIF contribution to your hospitalization. Since membership in NHIF is mandatory for employed persons, health insurance companies assume that everyone who buys additional insurance from them is actually buying ADDITIONAL insurance. The policy benefits are therefore calculated net of the amount NHIF should pay. If you do not keep your NHIF contributions current, you will have to foot an amount equivalent to what NHIF should pay. The second reason why everyone should consider NHIF membership is that is subsidizes cost of treatment. In recent times, NHIF has been expanding its scope of coverage. Until recently, NHIF has been refunding providers only when a member is hospitalized. However in recent times, the fund has been working towards refunding even costs associated with outpatient services. recent media report indicate that NHIF will start paying for costs associated to the treatment of cancer, and the cost of dialysis. This is a welcome move given that most people in Kenya do not have robust privately funded medical insurance covers. Finally, the cost of NHIF members is relatively cheap, yet the benefits are competitive especially in the case of hospitalization. One of the key advantages of the NHIF is that one pays the medical insurance costs monthly as opposed to annually, making it very affordable. It is also the case that the rates are affordable even for low wage workers. NHIF members who are employed contribute from Kshs 150 for those earning a maximum of Kshs 5,999, and a maximum of Kshs 1700 for those earning Kshs 100,000 and above. For those not employed formally (such as informal workers and retired persons), the monthly contribution is pegged at Kshs 500 per month. These costs are lower than for any other cover. For instance, Linda Jamii requires members to pay 12,000 per annum, meaning that the monthly charge is Ksh 1000. Having an active membership with the NHIF is a smart decision for every discerning Kenyan. First carry out a needs assessment to see what you are looking for. When we speak of needs, we mean your needs and those of your dependents. Your needs will mostly be defined by your current state of health, which will have an influence on how frequently you need medical attention. The type of care you will need is also a good consideration to make. The next thing you need to look at is your budget. How much are you willing and able to spend on health insurance? While someone would feel safest having all the benefits a medical insurance policy can buy, spending too much money on one item can compromise your financial plans, especially of you have many dependents. In this case, make a decision on how much you can spend on health insurance based on your needs and based on your capacity. The whole point of this exercise is to make sure that you get the best possible deal for your budget. At times, the cost of a policy is not always an indicator that you are buying a good policy. Thirdly, with actual policy documents, assess the benefits associated with each policy. Compare the limits of each policy to see just how much would be available to you. In addition, look at the complete list of benefits provided by each of the policies you are considering. It is wise to pick policies whose benefits match your needs as closely as possible. Finally, decide on your preferred insurer. It’s a reality that some health insurance companies have better products and customer service than others, even of their policies may be more expensive. Finding a company that fits within your needs is the important thing in this situation. Whenever you are buying anything, whether it's vegetables or a new house, there is usually this good feeling you get when you are sure you have been given the best prices possible. Health insurance is no exception. You deserve to feel good about how much you’ve spent on yourhealth insurance in Kenya. If this is something you would like for yourself, here are some tips. Next, we encourage you to talk to trusted insurance agents who offer health insurance services. Insurance agents will give you the benefit of insider information, and will most likely help you to save some money. Agents know which products will give you the best value for your money and they are also likely to know which companies have products meeting your needs, as well as any offers in the prevailing market. Keep in mind though that an agent makes money from commissions, and the higher the cost of an insurance, the more likely they are to sell you expensive products. You must be tactful when speaking to an agent and don’t settle until you have what you consider to be a fair deal. Another way to get the best deals is just to go to the source. You can choose to talk to company representatives personally so that you hear from them what they have and how they intend to meet your needs as an insurance consumer. While this puts you in touch with the best information, you will end up with more than just the information you need. You will feel the full force of insurance companies’ marketing departments. You can see why this can be exhausting. Nonetheless, if you have the time, strength and stamina, then it may be the best way of getting and comparing quotes. Finally, you can also find great deals by asking for referrals from your friends and associates. This should be relatively doable if we are well linked via social media channels. If you’d like a no-stress approach to getting the best quotes, then we think that using our online quote comparison service might be your best bet. Health insurance is an interesting type of cover in various ways. First, it’s the only cover that deals directly with your health, arguably your most prized asset. Secondly, the health insurance cover can be claimed in bits as needs arise, as opposed to other covers where you can only make one claim. When it comes to claims, here is how the claims process works. Most insurance companies will have a copayment policy on their cover. This works a bit like “excess” in the motor insurance cover. What this entails is that each time you visit a health facility, you will have to pay a fixed amount to the hospital. The specific amount varies from hospital to hospital and also varies according to specific policy. The goal of copayment is to discourage frivolous visits to healthcare institutions. The third issue you need to bear in mind is that health insurance usually comes with certain exclusions. These exclusions may include some medicines and procedures that do not meet the threshold for services that can be insured against. The most common exclusions are cosmetics procedures, food supplements, and elective procedures. As you plan your health insurance, remember that InsureAfrika is there to support you all the way. Pre-existing & chronic conditions: Insurance companies are not obliged to cover a policyholder who joins their scheme after the onset of a medical condition. For instance, a policyholder who has an organ defect (say failing kidneys) does not have the right to demand an insurer to cover the costs associated with his treatment of the disease had been detected earlier than the effective date of their policy. congenital defects: These are defects that affect unborn children, and are usually detected before, during or after birth, and in some cases later in life. In recent years, some medical insurance policies have found ways of covering congenital effects but usually have a cover limit. cosmetic surgery unless caused by an accident: insurance companies do not pay for elective cosmetic surgery and procedures. Elective cosmetic surgery does not qualify for a risk, and is a deliberate choice by an individual. On the other hand, a health policy will cover a cosmetic procedure if it is required to restore normalcy to the looks of a policy holder. This may be the result of burns, wasting infections, or any other ailment causing physical deformity. Treatment other than a registered doctor of medicine: This policy exclusion means that a medical insurance policy will not pay for treatment accessed from a traditional doctor, medicine man, acupuncture practitioner, or even a trained conventional doctor who is not licensed to practice. The challenge here is that insurance relies on formal health systems to calculate costs, while informal health systems do not have enough in common to allow for proper calculation of premiums. At the same time, some of their treatments are not scientifically tested, hence there is no way of assessing their efficacy. Dental and Optical Conditions: Some covers still do not cover dental and optical conditions unless specifically included in premium calculations. Even in cases where these two conditions are covered, some exclusion still apply, such as limit in eye glasses, and dental procedures a policy holder may access.